Eight years ago, in the quietness of room 304, I was handed a small bundle of pink. Nestled together in the wee hours of the morning, we made our introductions. Hers was the raspy cry that only a baby can muster and mine was a mixture of tears and silent prayers of Thanksgiving. With eyes like her Papa, a chin like her momma, and a set of lashes that were all her own, she was my very prayers wrapped in human flesh. But that was all the time God needed to write His truth upon my heart...the truth that this little six pound gift was more than just "baby girl", as her bassinet placard read. She was a "talent"...a talent that only He could entrust...a talent that I could safeguard for as long as He allowed...a talent that I could multiply for her good and His glory. And so, with nearly half of her childhood days behind us and tucked away as a "memory", the gravity of that moment...that one brief, eye-meeting moment...comes to mind often and compels me to walk this journey of motherhood with intentional purpose. a blueprint of femininity...for better or worse...for her to follow. God has woven us together with purpose. Mine is to "teach what is good"
and hers is to walk along behind. but only for a short while...until the day she can walk BESIDE. Although it would be easy for me to trade the "good" for the "good enough", I am acutely aware that it is my job, as her mother, to work my way OUT OF A JOB...to use my home and my few brief years with her as a training ground, a greenhouse, where she can not only learn, but EMBRACE, true Biblical womanhood. In my efforts to find the "good" for her, I have come upon a few wonderful resources worth sharing. I hold them out to you as an invitation. Join me in multiplying your "talent". Take the challenge given in Titus 2 to ensure that the next generation of wives, mothers, and daughters of the King will know their worth and be equipped for a high calling...a CHARGE to be a keeper of the home. As most of these resources cover several of the SEVEN elements of the Titus 2 charge, I am dividing them into two main categories Practical Homekeeping Skills and Virtuous Living/Purity. Joanne Fabric Craft Kits- relatively inexpensive craft kits that can often be purchased with 50% off coupons and are a nice introduction to basic sewing, beading, embroidery, and other handcraft skills. Minieco Printable Sewing Cards- printable sewing cards to introduce hand sewing skills to preschoolers. Kids Sewing Projects- a website filled with downloadable sewing projects listed by age/skill level. Kids Sew- an online vendor that sells reasonably priced kid-friendly patterns. Kids Sewing- an online sewing community for kids, their moms, and their grandmas. They sell a handful of tutorial DVDs that focus on beginner sewing projects. For the past year, my daughter has been assigned to cook our Sunday night dinner. Since we set aside Sunday for rest, we are never overly scheduled allowing for plenty of time to teach her some basic kitchen skills. 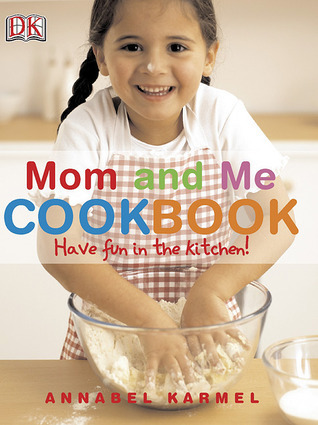 Here are a few instructional-style books that not only provide easy-to-do recipes, but also helpful "how-to" lessons in cooking. Training Your Children in Home Economics- a wonderful eBook with great tips on teaching basic Home Ec. skills such as gardening, hospitality, table manners, laundry, cooking, and more. With your purchase, you also receive progress forms, planning sheets, and simple patterns to use for a full Home Ec. curriculum. 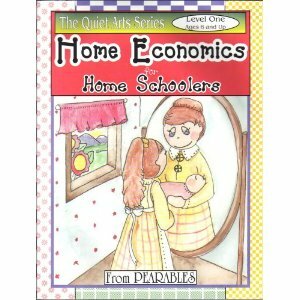 Home Economics for Home Schoolers Level 1- the first of a series of books for teaching young girls basic home keeping skills . It is a curriculum-style approach that graduates skill level as a girl grows. 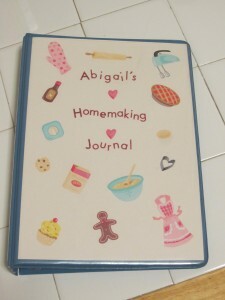 Homemaking Journal- an ongoing homemaking notebook shared at Average Housewife. This would make for a great on-going mother/daughter project as you prepare her for your home and starting one of her own. Keepers of the Home- scouting style club that encourages girls to learn basic elements of Biblical womanhood with the incentive of earning achievement badges. 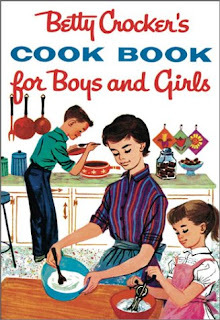 The club handbook covers a multitude of homemaking aspects such as cleaning, cooking, handcrafts, and spiritual growth. Although the point of the club is to participate in a group setting, a mother/daughter can complete the activities and earn badges without joining an actual organized group. Raising Homemakers- a jam packed sight completely dedicated to training up daughters in Biblical womanhood. Guest writers from around the web share practical tips on encouraging purity, training in homemaking skills, and creating a desire for virtuous living. Every Wednesday, Christian mom-bloggers link-up their Titus 2 style posts in hopes of sharing how they are raising their daughters to be HOMEMAKERS. Training Our Daughters to be Keepers at Home- a seven year, 601 page course study that includes the following topics: cooking, Godly womanhood, sewing, caring for sick/injured, gardening, child-bearing/breastfeeding, braiding rugs, child development, hospitality, making a house a home, child training, flower arranging, knitting, family finance, crocheting, making greeting cards, embroidery, caring for elderly, raising animals, comfort grieving, cross stitch, family celebrations, basketry, soap making, candle making, and home business. Titus 2 Pinterest Board- a relatively new development, but I am dedicated to adding to it as I find quality ideas/articles. 10 Days of Character Studies- a whole series of teaching godly character to both BOYS and GIRLS by Erica at Confessions of a Homeschooler. These would make a great addition to a focused time of teaching virtues to your daughter. Character Qualities Chart- a downloadable chart provided by the Duggar family listing out Godly character qualities and their operational definitions. This makes for a great reminder of what qualities you should be teaching by example. 10 Days of Teaching Values- resources for purity, household chores, instruction in righteousness, service, and leadership from Our Journey Westward. 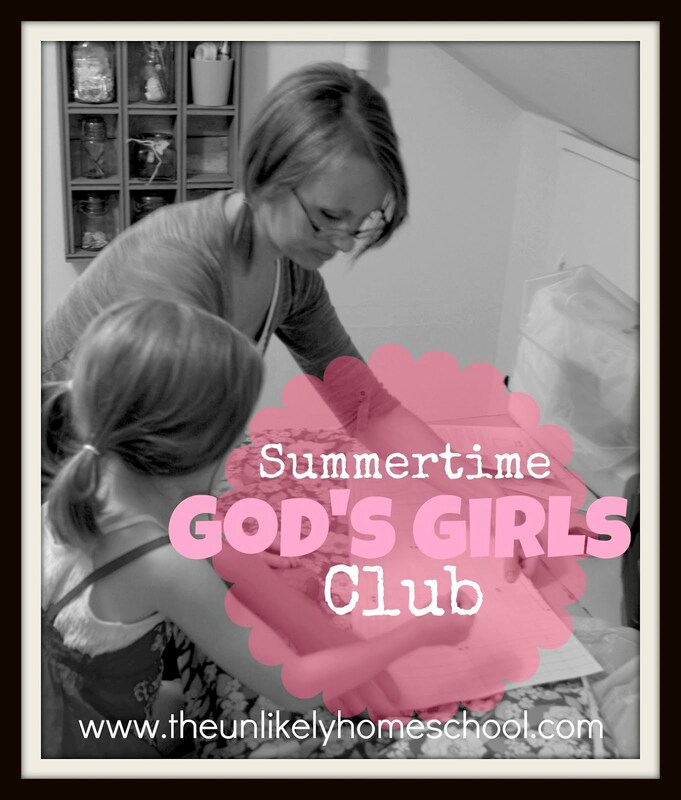 Summertime God's Girls Club- a summertime club for young girls and their moms hosted by The Unlikely Homeschool. Each meeting is designed to teach basic hospitality and etiquette skills, a basic handcraft skill, and Godly character in the form of a woman from the Bible. 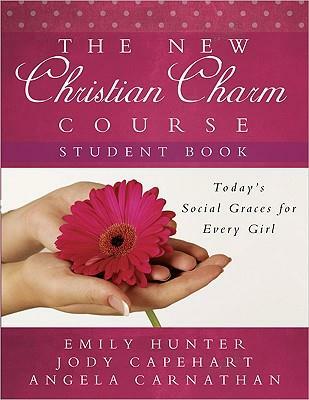 The New Christian Charm Course- a complete course designed to teach manners, social etiquette, and femininity. Pursuing What is Excellent- great thoughts for encouraging your daughters to choose friends wisely. Secret Keeper Girl Kit 2: The Gift of True Friendship - an activity based kit designed for moms/daughters or small groups. Includes "date night" suggestions for you and your daughter as you explore what it means to be a good friend, how to choose the right kind of friends, and where you should find the source of friendship. Secret Keeper Girl Kit - the original kit which includes 8 "date night" activities to do with your daughter in order to encourage her to choose a life of purity. 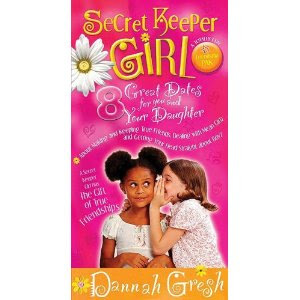 Secret Keeper Girl- an online resource for tween girls and their moms dedicated to encouraging modesty, sexual purity, and a mother-daughter connection that will equip a young girl to face worldly pressures and influences. Generations of Virtue- a website which provides curriculum, DVDs, small group-style teen studies, and a wonderful age-appropriated booklist for girls (and another for boys) starting as young as three in an effort to equip parents to raise a pure generation. The following are my personal favorite living literature picks for teaching both purity and feminine hygiene. I have read many of them with my daughter and have tucked the rest away on a shelf for "someday." If you enjoyed this Ultimate Guide to Titus 2 Mothering, I would encourage you to join me at iHomeschool Network as nearly 40 other homeschool moms are sharing their "Ultimates." You'll find ideas for homeschool organization, teaching special needs students, crock-pot cooking, and a WHOLE LOT MORE! I've got your "hint" noted! I have 4 boys, so a all-in-one resource guide would be a helpful tool! This is an amazing list of resources, thanks for putting it all together in one spot for a mother of all girls like me....will be listing it as a favorite post to return to. Great! I hope it gives you some tools for your girls. I really enjoyed this! As having a daughter that God gave me 3 1/12 years ago when she was 3 years old, I am still finding how to have that relationship with her among all these boys! Thank you! I can relate. I have to be intentional to carve out girl-time or my poor daughter gets lost in Boyville. What a great selection of resources, I took notes! We will definitely use some of them with our 12 & 14 year olds. A tween and a teen...sounds like you have your hands full. Wonderful resources!! Even though we have two older daughters (17&18), we have a younger daughter, age 10, that I cannot neglect bringing her up the same way. Its so easy to get caught up in young adult things that I overlook the little girl in our home! It's funny...I feel the same way when I think of my preschoolers. It's often too easy for me to just have them tag along to what the older ones are doing instead of remembering to do things that would build them up. My daughter is only 7 weeks old so this is getting bookmarked and referenced frequently!!! Thanks so much for compiling these great resources!!! Glad to hear it. All too soon that 7 week old will be 7 and then 17. It flies sooooo fast. This is something I feel passionate about, too, and I'm so excited you have put together such a complete resource! What great resources! Thank you for putting this all together for us. Looks like a great list of resources, thank you! Thank you for all the work you put into this. I especially liked the links on sewing as my three girls would love to learn (and I never did.) All these resources remind me that we are preparing our daughters for life---not just academics. I love the idea of the "God's Girls Club"! I would love to start something like that in my community. I have 2 girls 6 & 8. Thanks for all the great sewing links. My 8yr. is wanting to learn to sew this year, so we will be adding this to our homeshool week. 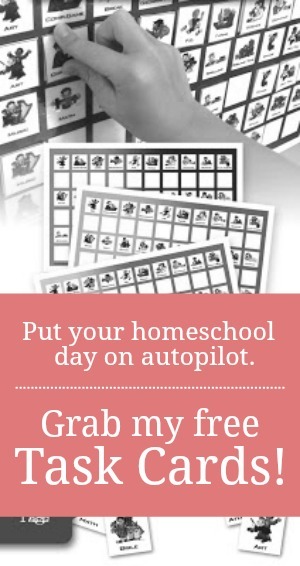 I just love your blog & have really learned so much about homeschooling! I love this post I also loved the one you wrote about raising Godly boys. I only have one daughter and im expecting another boy soon. I want all of my children to learn some of the same housekeeping skills. My daughter is now in the TWEEN category. So I am in new territory. It's been fun to begin starting the next level of resources with her. Congrats on the upcoming boy!